If ever given the choice, I'll always choose outdoor tables over indoor ones. Unless it's raining. Veranda in Bayside (not the one in Manhattan that foodies citywide have been tweeting ad nauseum about) is awash in outdoor seating. Thus, it was a no-brainer for me and Bro to jump in the car and drive over. 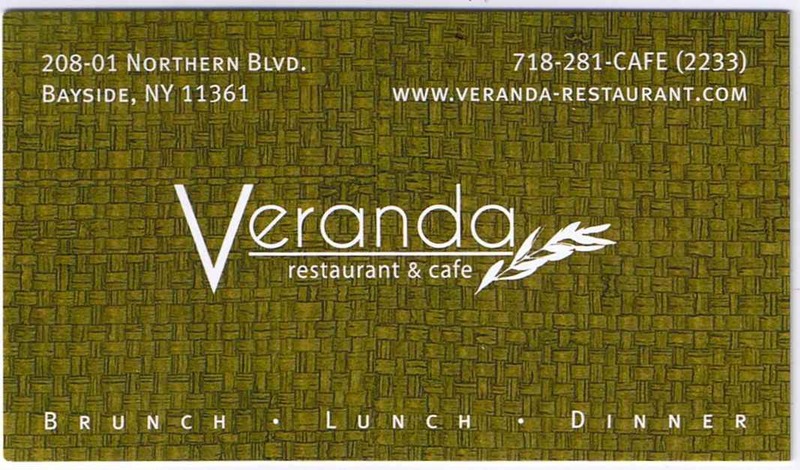 In the end, the space and the service were better than the food, but if I lived nearer-by, I could certainly see myself making Veranda a one of my good-weather go-to spots. 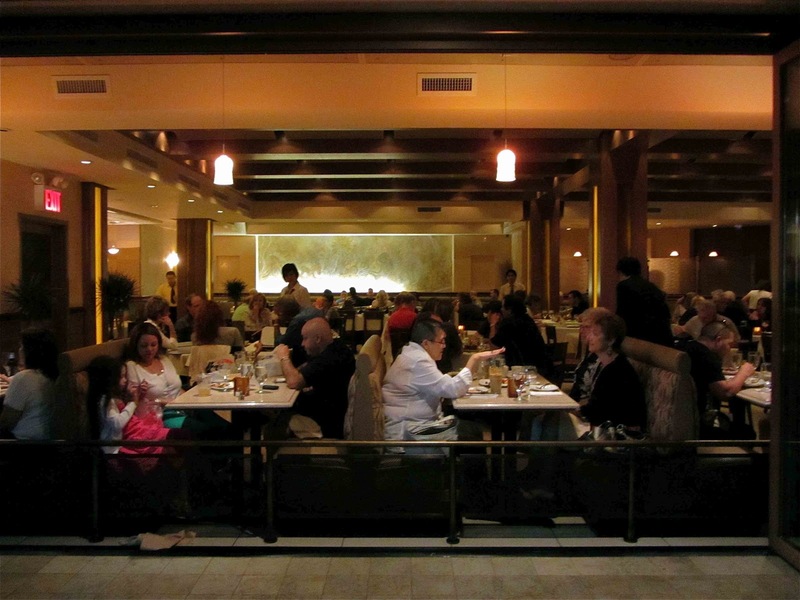 Although Bayside isn't really a quick schlep for anyone, sometimes driving to dinner for food you've probably already had can be a nice diversion. Comforting, in a way, if not convenient. 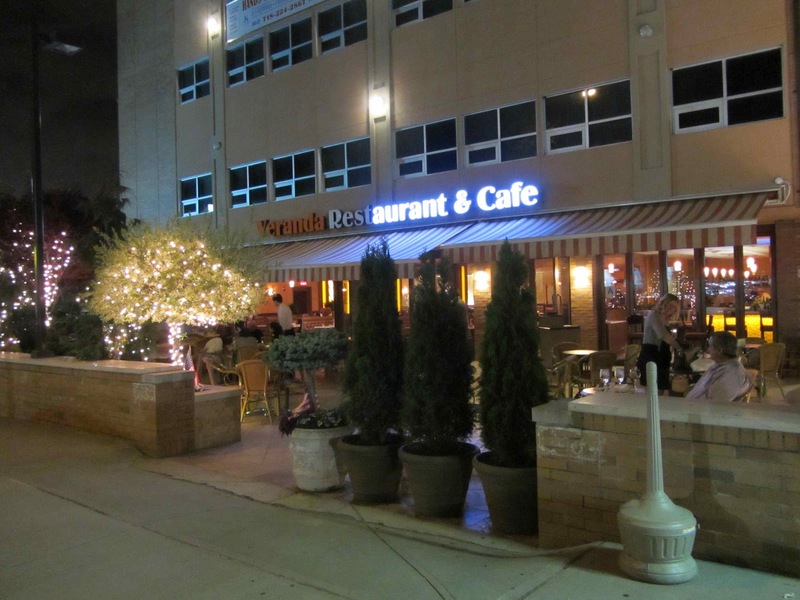 And Veranda has both valet parking as well as plenty of neighborhood parking. 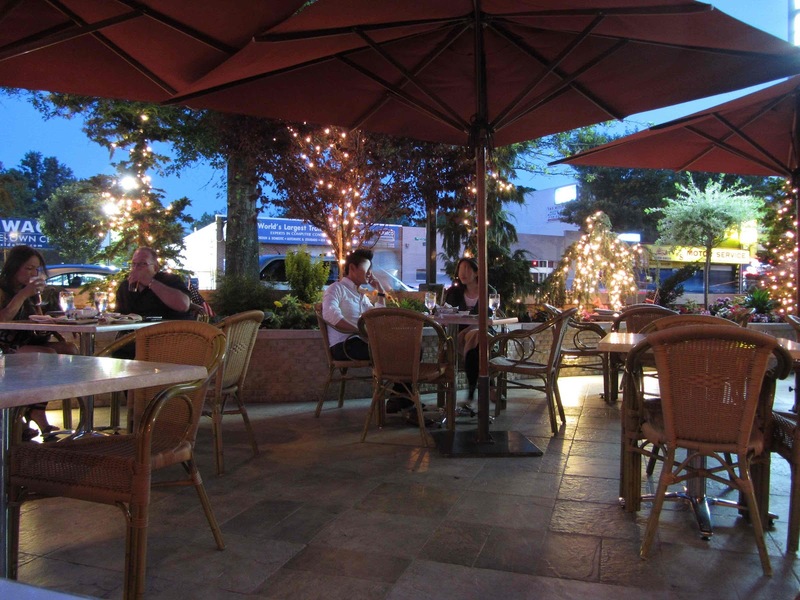 Bro and I were led to seats on the patio, a vast umbrellaed stretch of real estate coated in twinkly lights. The interior of this otherwise generic Italian restaurant is nice and upscale-ish, but there was clearly a sale on booths that the owners exploited, lending to a somewhat cheazo Long Island vibe. 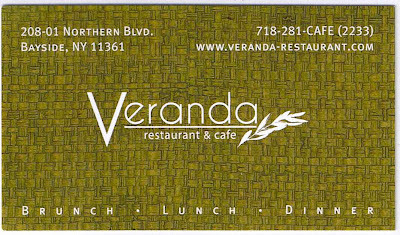 As I said, the food at Veranda was hit or miss. Bro had all the hits. I struck out. 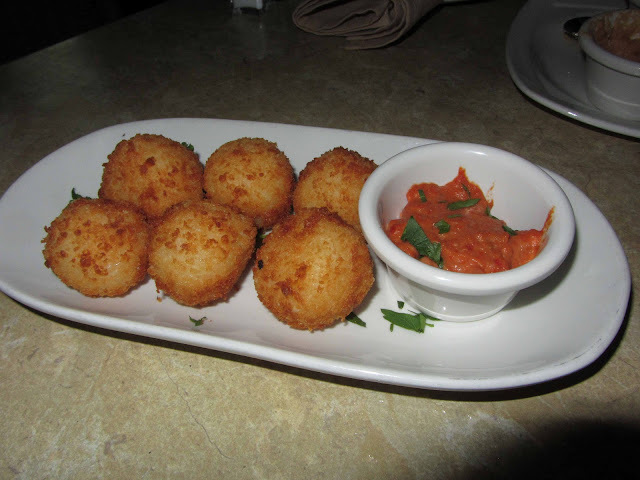 My appetizer was the Risotto Croquettes, a fried and breaded ball of risotto with a core of mozzarella cheese and a sun-dried tomato marinara sauce. I wasn't feeling them. Too heavy, too starchy, too cheesy, too bland. Three bites in and I was satisfied. Finishing them filled me to the point of explosion. Unless you're at a diner three hits to the wind, I'm of the opinion that appetizers should be small and light like carpaccio. 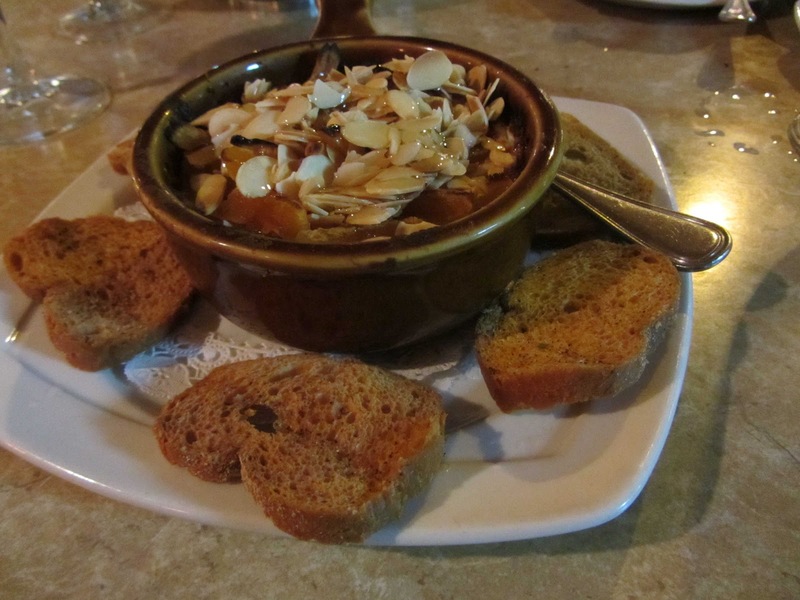 Bro ordered the Warm Goat Cheese Fondue, melted goat cheese with almonds and apricot, all to be spooned up on toasts. And it was incredible. Heavy as well, but tasted fantastic. Order this with someone else and ask for extra toast. Trust me. 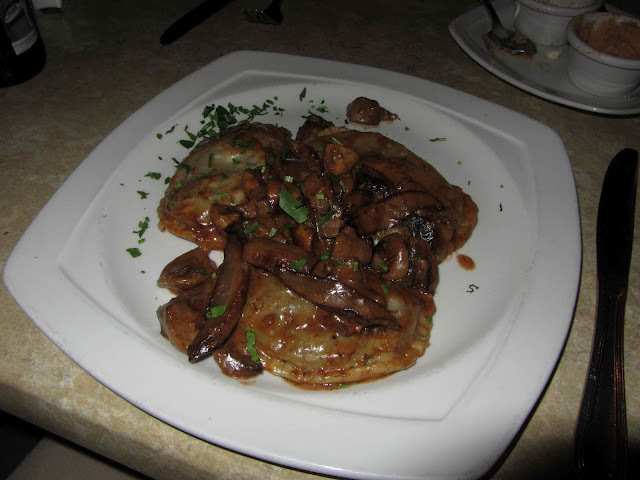 My entree was the wildly disappointing Wild Mushroom Ravioli: three empanada-sized raviolis that are filled with a mushroom puree the consistency of toothpaste, but that doesn't freshen your breath quite as much. I finished maybe one of them before stopping and giving up. Bro meanwhile lucked out again with his Honey and Thyme Glazed Pork Porterhouse. Thick, tender, juicy. 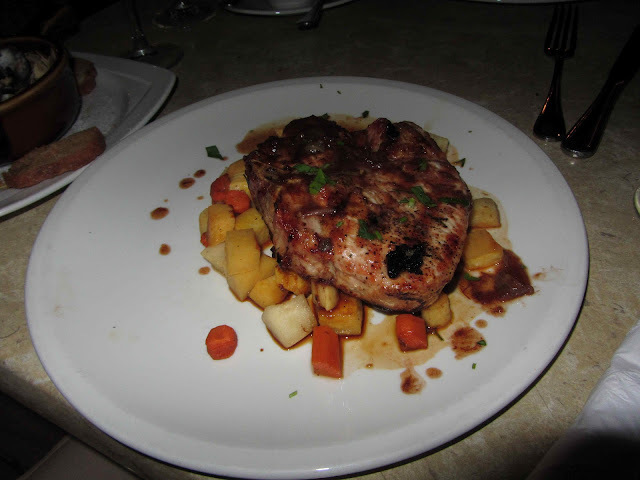 Just a great pork steak. The dish came with a side of root vegetables that weren't nearly as good as the meat, mostly because they were undercooked. Still, compared to my dish, no complaints. For dessert, I stuck with coffee but Bro ordered the Raspberry Cheesecake. Well, "raspberry". 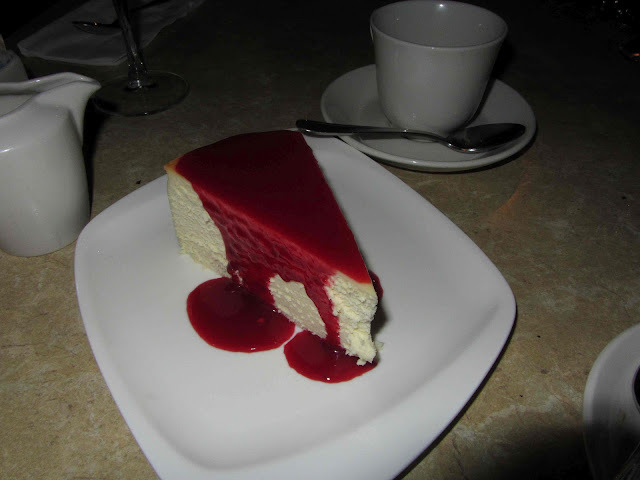 All Veranda did was take a regular slice of New York cheesecake and pour raspberry sauce on top. Sort of a half-assed, low-rent way of adding something to the menu, and again, in the land of hit or miss, it was a miss. In the end, our meal of two drinks, two apps, two entrees, two coffees and a dessert came to $110 with tax and tip. As I said, I liked the space more than the food. The outdoor area was very pleasant and comfortable and I'd certainly return for drinks and maybe a burger or something that takes little to no effort in the kitchen. But I wouldn't go back for a real meal.